The weather is getting colder, which means us moms can't use the outdoors to entertain our kids as much as we would like. When my kids are stuck inside, they tend to get very grumpy. I can't stand when they get grumpy and whiny so I try to make a game plan to avoid it. 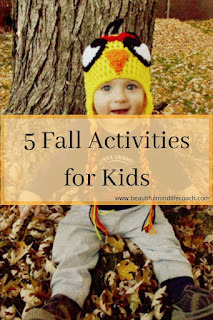 Here is a list of some fun fall activities that I found from other bloggers. 1. 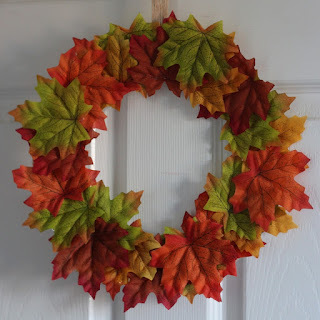 Fall paper plate wreath: Mum in the Mad House posted this idea. Click the picture to get instructions on how to do this fun craft! 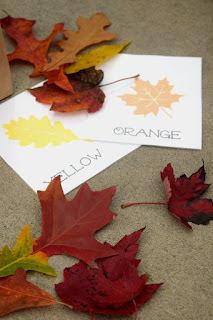 My kids always love decorating, so I think they will really love to make their own fall decor! I will do this one with my kids, and maybe add some Halloween elements to ours. 2. 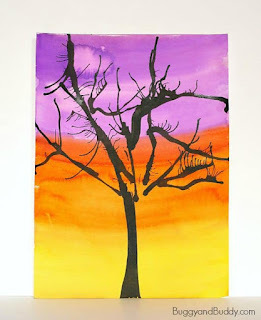 Spooky Halloween trees: I found this idea on Pinterest. The blog Buggy and Buddy was the one who posted it. Their picture will look you to the instructions on their site! This activity looks so fun to me. I might actually try it for myself! I think my older child will really enjoy this activity. 3. 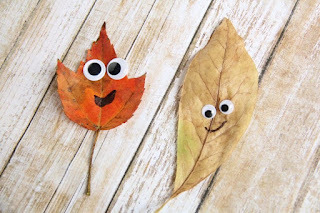 Leaf people fall crafts: Hands on as we grow is where I found this fun idea! Find some colorful leaves, go to the flat store for some eyeballs and make little leaf people! This could be a whole day's worth of entertainment! 4. Leaf Hunt: this idea came from This Little Home Of Mine. The picture is theirs. If you click on it, it will take you to their blog! This goes along with #3. Do the leaf hunt and an activity, and save the leaves for the leaf people! 5. 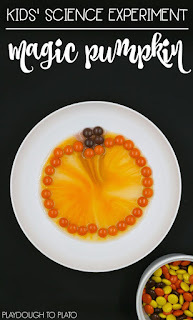 Magic Pumpkin: I found this idea on Playdough to Plato's blog. I also borrowed their picture. Kids love candy, and I love science so this is a good combination. I think it's fun to watch the colors spread out. I hope this gives you at least a few ideas to entertain your kids when it gets chilly outside! Be sure to follow these fellow bloggers to take advantage of all their fun ideas!